With its shiny, elegant sheen and luxe appeal, it's no surprise that white gold first rose to prominence during the decadent art deco era of the 1920s. Achieving its polished, silvery finish by blending gold with white precious metals, such as palladium, nickel, and magnesium, white gold jewellery is extremely popular, particularly for eternity, engagement, and wedding rings for both men and women. An affordable alternative to platinum, it is commonly used in rings, necklaces, bangles, and other types of jewellery, ranging from everyday fashion pieces to high-end luxury items. Much like yellow and rose gold, white gold is graded by carat, ranging from 9 to 24 carat. Gold that's marked as 9 carat must contain 37.5% pure gold, and 24 carat must have 99.9% pure gold. Look out for the hexagonal hallmark on white gold jewellery bearing a number that denotes its purity. If you are uncertain about the purity or authenticity of a piece of jewellery, you can always take it to a jeweller to have it inspected. White gold plating is popular in fashion jewellery; the item itself will largely be made up from less-expensive metals but coated with a layer of beautiful white gold. Maintaining your white gold jewellery means it can be enjoyed for many years. Try to get into the habit of cleaning it at home with some jewellery cleaner - the more often you do this, the less shine-dulling debris will build up. If you have a piece that holds high sentimental value, such as a wedding ring or family heirloom, you may want to have it professionally polished once a year or so to help maintain its intended shine. 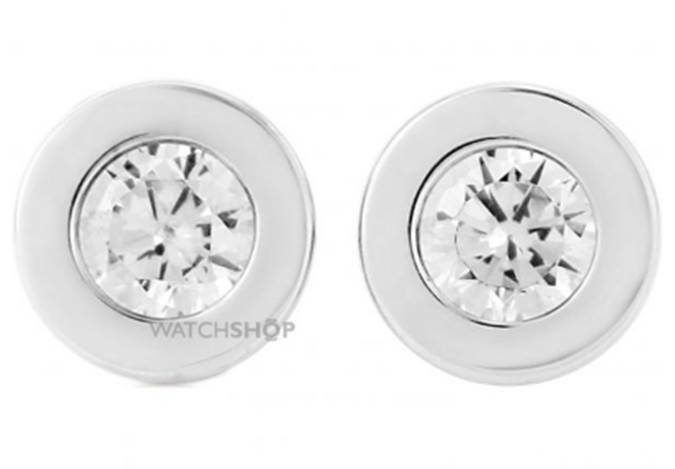 These beautiful 9ct white gold earrings (RRP Â£50) are set with glistening cubic zirconia, giving them a luxurious finish which makes them feel far more expensive than their price-tag suggests. Modern in design, they can be worn every day or on a night on the town. 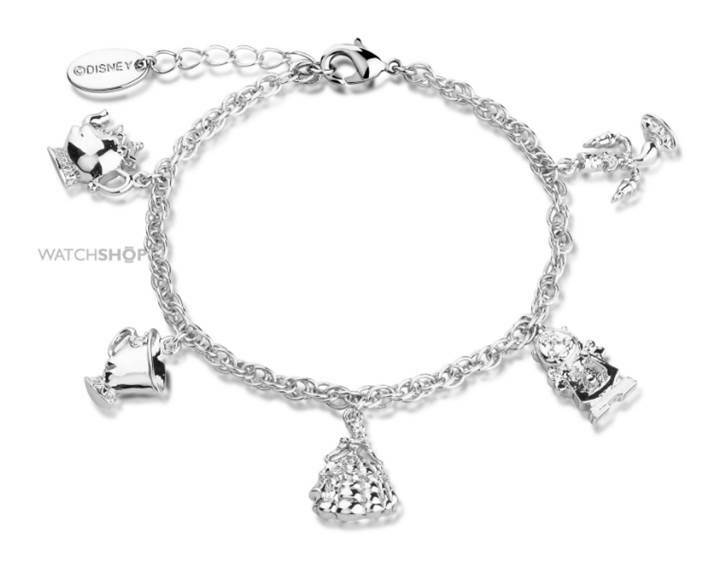 If you were swept away by the magic of the recent live-action Beauty and the Beast movie, chances are you'll love this stunning charm bracelet (RRP Â£39) by Disney Couture. Featuring five intricate charms, including Chip, Lumiere, and an enchanted rose, it's a collectable piece that can be treasured for years. 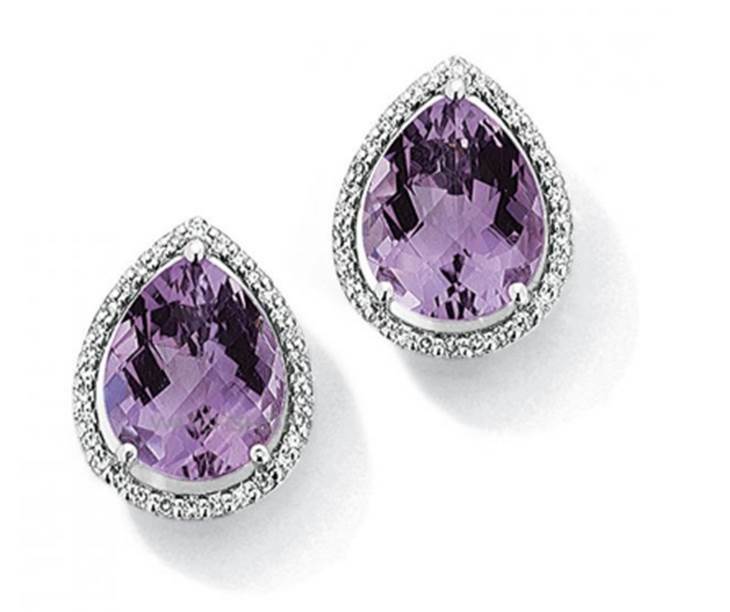 With a timeless elegance that's tailor-made for a special occasion, these 9ct white gold earrings (Â£340, RRP Â£680) boast a pair of oversized amethyst jewels and are surrounded by a cluster of glittering diamonds. A welcome addition to the jewellery box of any girl who loves a bit of sparkle with her classic styles. 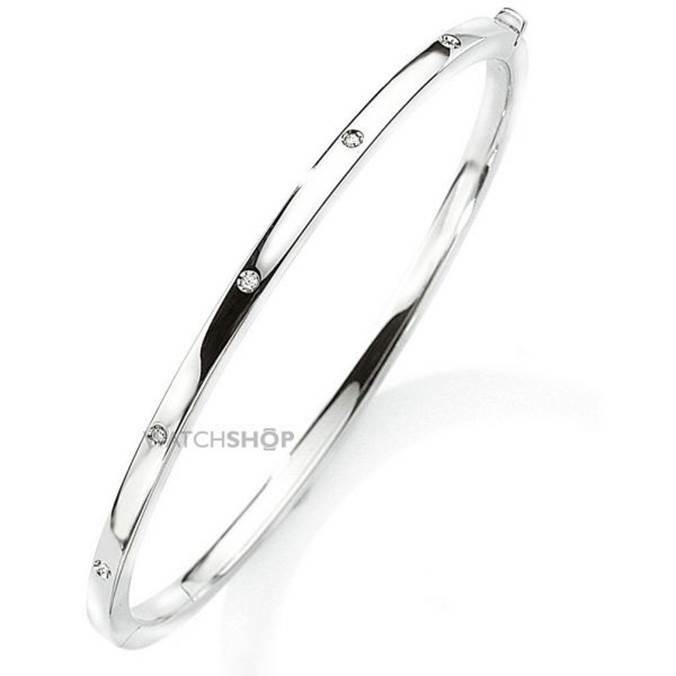 Combining minimalistic elegance with a subtle touch of flash, this 9ct white gold diamond bangle (Â£371, RRP Â£735) is sure to be a wardrobe classic that can complement a million and one outfits. Set with genuine diamonds, this slim piece comes in a pretty presentation box, making it ideal for gifting. 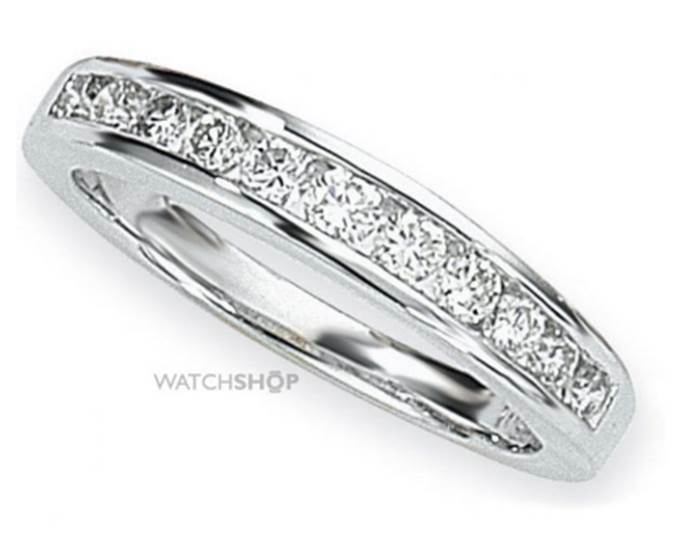 If you're looking to take your relationship to the next level then this 18ct white gold diamond eternity ring (Â£1,405, RRP Â£2,800) is a good place to start. This striking eye-catcher shines with brilliant-cut, channel-set diamonds that are complemented beautifully by the sheen of the white gold band. This contemporary 18ct white gold pave-set diamond necklace (Â£1,145, RRP Â£2,285) is destined to become a classic in years to come. 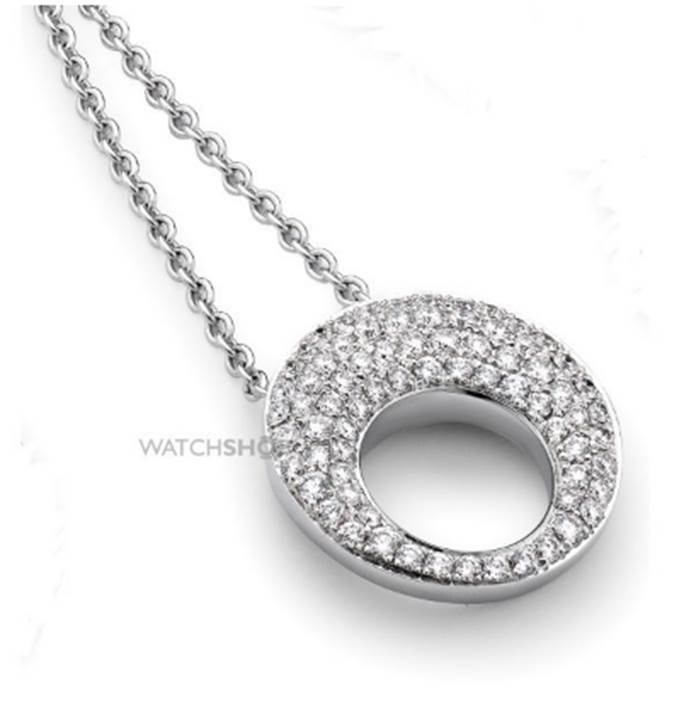 Featuring an oval cut-out pendant with a smattering of real diamonds and a white gold chain, it can be teamed seamlessly with casual streetwear for a stunning juxtaposition or a killer cocktail dress so you can make an entrance at that big do. A versatile piece that will last a lifetime. White gold is an attainable luxury that is versatile enough to add a touch of class to almost any ensemble. With over 800 stunning pieces ranging from affordable, everyday fashion items to luxe jewellery reserved for special occasions, the Watch Shop white gold collection has got it all boxed up.